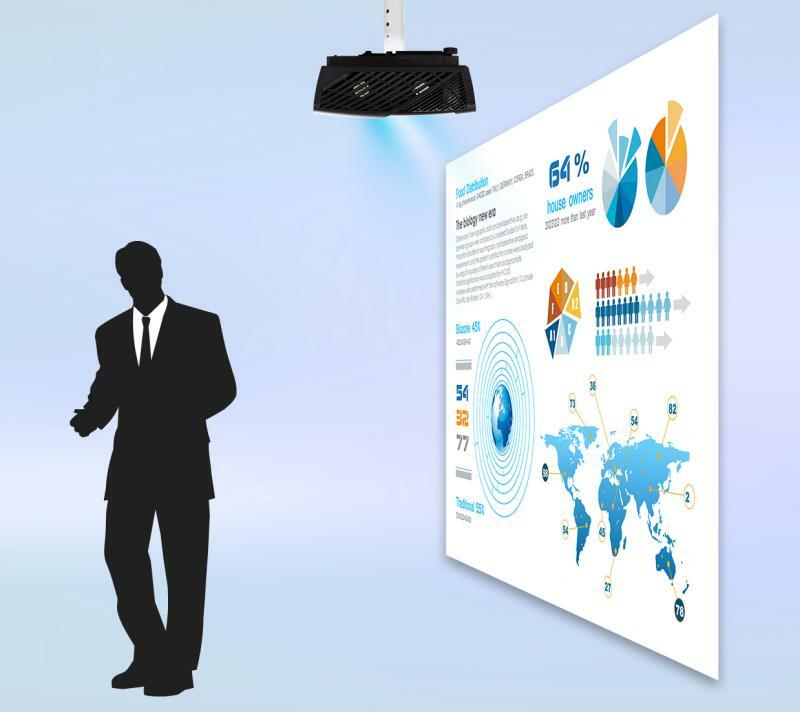 The ViewSonic PJD8353s is an XGA DLP ultra short throw projector with an interactive whiteboard feature. With an optional interactive package, the PJD8353s supports dual interactive pens for collaborative teaching and turns any surface into an interactive whiteboard. Dual pens and the ViewDraw2 software allows two users to simultaneously write, draw, or annotate, making presentations more engaging than ever. With an ultra short throw lens, the PJD8353s is great for use in small areas with space constraints—it can project a 70" 4:3 image from only 2 feet away. Built with BrilliantColor technology, this projector produces vibrant colors, while 3,000 ANSI lumens and 15,000:1 contrast ratio deliver sharp images. Equipped with Crestron LAN controller, the PJD8353s makes it easy for IT admin to remotely control and manage multiple projectors from their workstations. Certified with AMX Device Discovery, the PJD8353s easily integrates into any size campus or enterprise. In addition, the PJD8353s is packed with advanced features including HDMI, two integrated 8-watt speakers, keystone correction, and DynamicEco. The PJD8353s is the perfect projector to deliver large images within small spaces in need of an interactive whiteboard feature. 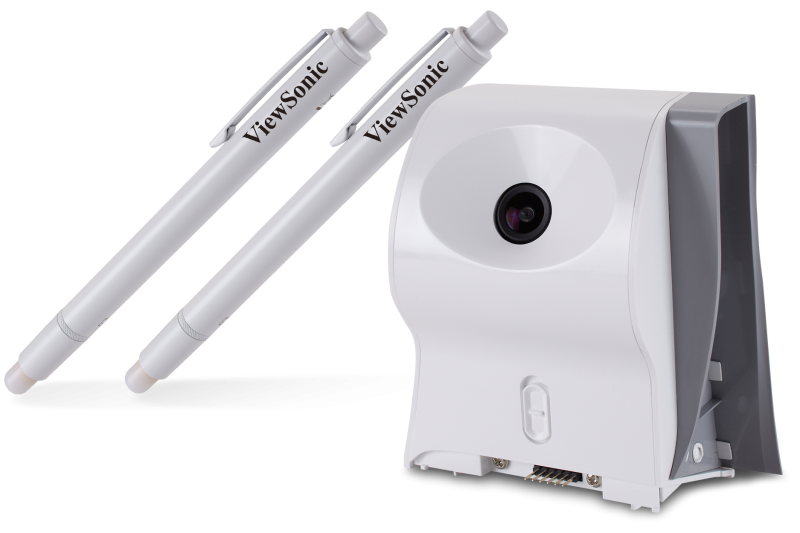 With the optional interactive package, PJ-PEN-003, this projector becomes an interactive tool that transforms any surface into an interactive whiteboard. With the dual interactive pens and the included ViewDraw2 software, two users can simultaneously annotate, write, or draw on the projected image to interact with the content and share ideas.